Richard Migneault has done it again. Last year he got an American Snout, the first New Brunswick record. This year he did almost as well, netting a Common Buckeye near St. Basile, NB, on July 24. This isn’t new for the province, but it is one of only a handful of New Brunswick records. 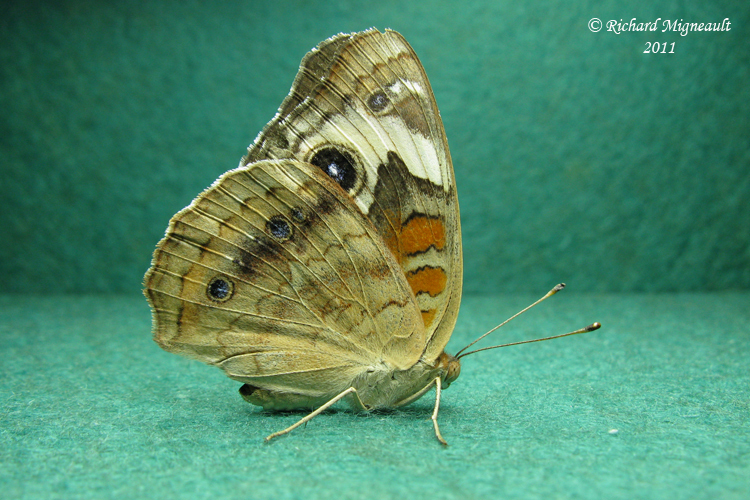 Like American Snout, Common Buckeye is a vagrant, migrating to the Maritimes from further south. Other highlights from the past couple of weeks are Striped and Banded Hairstreak at Fredericton, both documented by Don Gibson the week of July 11, and Striped Hairstreak at Lower Cloverdale, NB, documented by Anne Marsch July 14. Common Buckeye, St. Basile, NB, 24 July, 2011. This is a great time of year to document a generally difficult to identify group: the commas. Commas encountered in the spring tend to be quite worn (and more difficult to identify) as they have been on the wing since the previous summer. Commas encountered in late July and August are recently emerged, and therefore the species are much easier to discern from one another. I saw my first fresh Green Commas last week in Woodstock, NB. Hoary and Satyr Commas are also emerging right now, and like Green Comma they have only one generation per year. Eastern and Gray Comma have two generations per year, their second generation, the one that overwinters, emerge in August. All commas are woodland associates, so keep your eyes out for them on woodland trails. 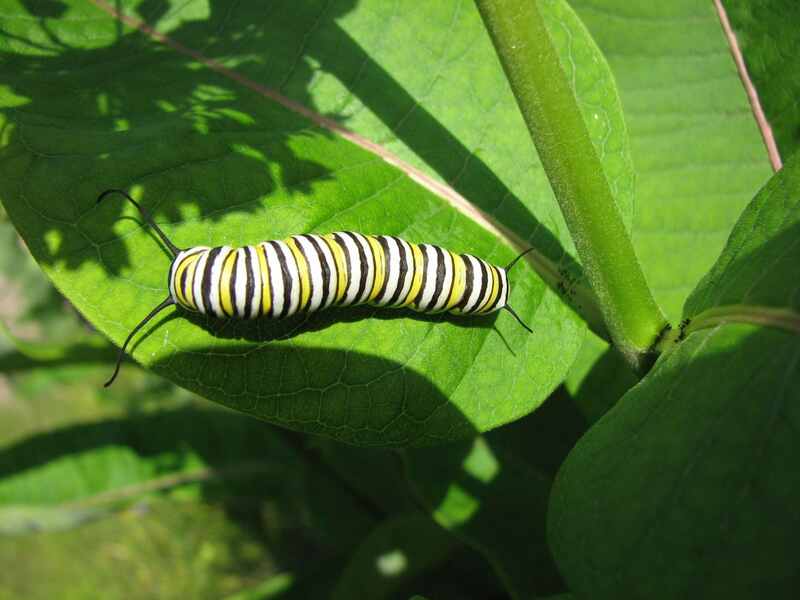 Something else to keep your eyes out for are Monarch caterpillars. Mary Sabine took the photo below on July 9. Check any patches of Common or Swamp Milkweed for these distinct caterpillars. Last year I found them well into September. Monarch caterpillar, Douglas, NB, 9 July, 2011.